MSNBC‘Morning Joe’ hosts Mike Brzezinski and Joe Scarborough. 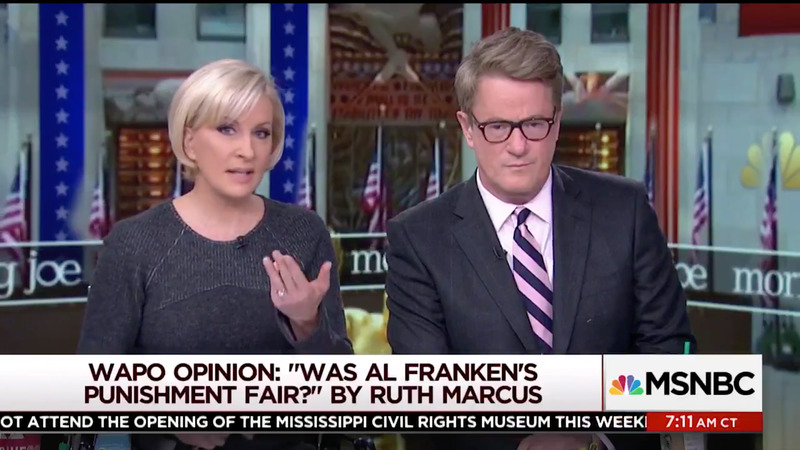 “Morning Joe” cohost Mika Brzezinski on Friday cast doubt on the veracity of the allegations made by one of Al Franken’s sexual harassment accusers. Brzezinksi’s comments seemed to question the intentions of the #MeToo movement at large. 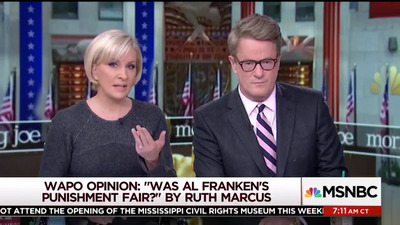 In the same broadcast, Brzezinski announced MSNBC’s suspension of a “Morning Joe” contributor who was accused of sexual misconduct. On Friday, “Morning Joe” cohost Mika Brzezinski cast doubt on a sexual harassment accuser of Al Franken while seeming to question the intentions of the #MeToo phenomenon, a movement which has seen myriad women come forward with experiences and accusations of sexual misconduct in recent months. Brzezinski noted that Tweeden had appeared as a “Hannity” contributor. In the same broadcast on Friday, Brzezinski announced that “Morning Joe” contributor Harold Ford Jr. would be taken off the air after Ford was terminated by his employer, Morgan Stanley, for alleged misconduct.